HR in Practice… in Belgium! How does that work? by Robbert Dekker, Operations & Strategy Executive of the British Chamber of Commerce in Belgium. Did you know that your annual holiday rights are based on how much you worked the year before? That from time to time, all salaries are indexed even if you received a raise the month before? 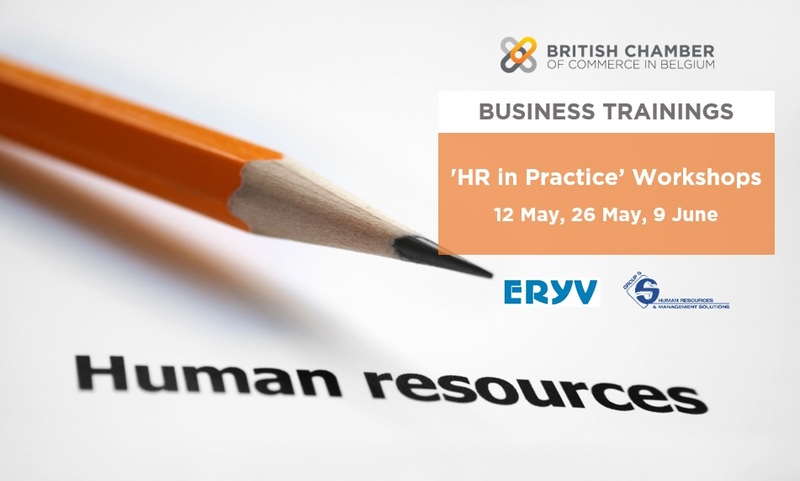 A room full of professionals stepped away from their busy schedules on Tuesday 12th of May to take part in the first of a three-part training session on “HR in Practice” to get a better understanding of these complexities. Hugues Thibaut of Group S and Eric Laurent of Eryv were the featured speakers, elucidating de-facto HR managers to find their way through Belgium’s notorious HR maze. Hugues shared his vast knowledge on payroll matters, while Eric explained the intricacies of the Belgian tax system in a way that even I – a relative newcomer to Brussels and HR – understood. Let me tell you then, what I got from all of this. In a nutshell, Belgian social security and tax rates are high and the payroll system fairly bewildering. Apparently, Belgium ranks 3rd on the payroll complexity index! Therefore, it’s not surprising that Belgian companies either opt for dedicated teams managing their payroll process, or often outsource this to an external payroll provider. I myself am simultaneously in charge of Operations, Finance and Accounting, management intelligence as well as HR and work with outsourced partners to both manage my workload but also get expertise where needed. This business training session offered me an excellent opportunity to get a solid grounding for at least one of my various responsibilities. The presentations struck a chord with one other participant, who remarked, “…event if you think you know this stuff, it’s great to compare with peers how they deal with the challenges they’re faced with.” And I’m sure I wasn’t the only one happy to hear others struggle with very similar issues. Often there is an easy solution if you know what to ask and to whom. I will no doubt attend the last session as well to get a better understanding on trainees and volunteers, advanced employment laws, and on how to optimise remunerations. I would highly recommend this to anyone faced with the HR tasks and processes. The British Chamber of Commerce in Belgium have many more great professional training sessions planned for 2015. The next session is ‘Accounting for Non-accountants’ with BDO, which will take place on 4 June. This event is open to both members of the chamber as well non-members. For all other trainings, please follow this link.